After a long day of knitting I managed to make it through another repeat and a half of chart one. This puts the count at roughly 28.2% of the way through this bad boy according to the shawl progress calculator over at Rose-Kim knits. The rows are definitely getting longer. The good news is that the pattern has become totally mindless, making it possible to take it everywhere and maximize my daily knitting time. It's shocking how obsessed I've become with getting through the first chart. 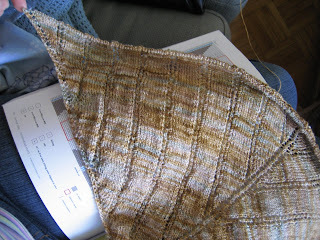 The thought of having to look at a new part of the pattern is making me giddy with anticipation. Hopefully today I can either put this down, or learn how to read corporate tax law while counting to 7. T-minus 2 days on the exam front...eep! Posted by Amanda at 10:44 a.m.
Oh, it looks lovely! I am so enthralled with the pattern in that yarn. June 5, 2007 at 6:24 p.m.
That is indeed beautiful. 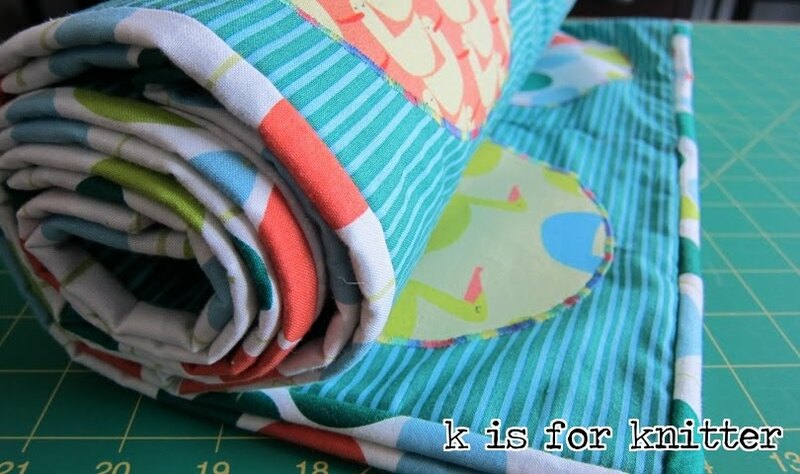 I've only done a few rows of chart one yet so its lovely to see others pics for inspiration. June 6, 2007 at 4:53 a.m.